The Sassanian Empire: Rome’s unbeaten rival in the East. With all its success and brilliance in Europe, the Mediterranean, and North Africa, Rome never conquered the Spah (‘military’) of the Sassanian Empire. Roman emperors such as Alexander Severus, Valerian, and Julian the Apostate tried and failed to subjugate Persia. Thanks to European and Iranian military historians, as well as Classical, Iranian, and Islamic sources, we now have a clearer picture of the formidable Spah. Here, MHM brings you a timeline of the key dates in the Sassanian Empire’s history. Surrender of Emperor Valerian (AD 253-259) to Shapur I (AD 240/242-270/272). The Sassanian ‘King of Kings’ is mounted, and Valerian stands before him behind a kneeling figure believed to represent Philip the Arab (AD 244-249), a Roman emperor defeated in an earlier battle. Alexander the Great conquers Iran (Persia). Iran becomes part of Hellenistic Seleucid Empire. 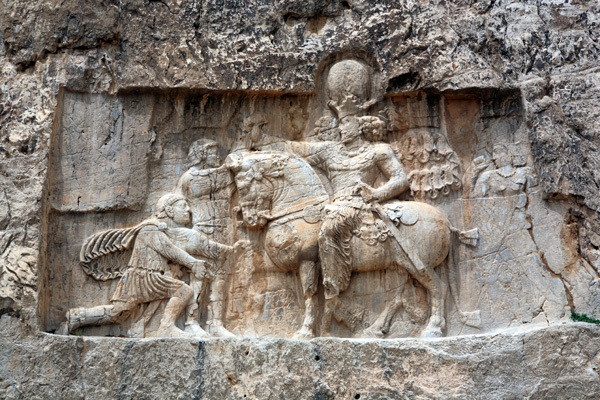 Parthians overthrown and Sassanian Empire founded by Ardashir I (224-240). Reign of Shapur I, conqueror and founder of cities. Reign of Shapur II, conqueror who defeated Julian the Apostate in AD 363. Reign of Khosrau (Chosroes) I, military and administrative reformer, patron of the arts. Reign of Khosrau (Chosroes) II, under whom Empire reached its greatest extent. Reign of Yazdgird III, under whom Empire disintegrated. Sassanian Empire overthrown by Arab-Muslim Caliphate. This article is an extract from ‘Soldiers of the Sassanian Empire: Rome’s unbeaten rivals in the East’, which featured in issue 50 of Military History Monthly.